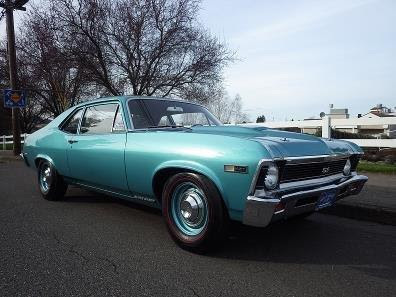 A Mopar legend, a 1970 Plymouth Hemi Cuda, teams up with a 1969 Ford Mustang Boss 429 Fastback and a 1968 Chevrolet COPO Nova SS to lead the consignments to date for the inaugural Mecum Portland Auction, which will take place June 17-18 at the Portland Expo Center. An estimated 600 American muscle cars, classics, Corvettes, Hot Rods, Resto Mods and more are all expected to cross the auction block from an approximately 20 surrounding states and Canada. 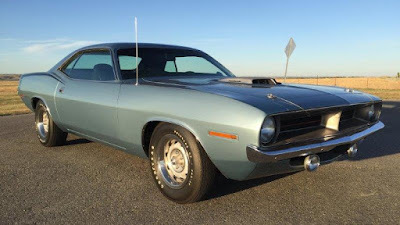 Freshly restored in the original color of Ice Blue Metallic is a matching-numbers Hemi Cuda coupe (Lot S95), one of 368 combining a legendary 426-cubic-inch powerplant with the heavy-duty A727 Torqueflite automatic transmission. The Mopar muscle car king is only part of the eye candy that will be available at Portland. 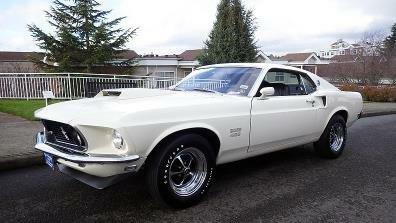 Each of the Big Three automotive giants will be well represented with a distinctive Mustang Boss 429 Fastback (Lot S102) painted in Wimbledon White that was the subject of a rotisserie restoration in 2011 leading the Blue Oval brigade, and, playing a starring role for General Motors will be a COPO Nova SS (Lot S116) finished in a striking turquoise paint that stands as number four of 50 COPO 9738 Nova Super Sports ordered by Fred Gibb Chevrolet. The Portland auction is open to sellers, buyers and spectators. Persons interested in consigning a vehicle to be auctioned at Mecum Portland should visit Mecum.com or call 001 (262) 275-5050 for complete details about the consignment process and pricing. Mecum Auctions website is updated daily with the latest consignments including detailed descriptions and photographs of the vehicles. Admission: $30 per person, per day or $40 for two days; children 12 and younger receive complimentary admission.